Great absorbency, didn't give it more because I have a crazy heavy wetter. I would say this diaper is daytime worthy no problem, still fairly nap worthy for us (we don't nap super long), but NOT nighttime worthy - for us - but could be for some. We use both inserts all the time around here. I LOVE GroVia prints!! Did I mention LOVE?! The bicycle print they sent was sooo super cute and I hadn't seen it before (seriously, how did I miss this? ).They always seem to come up with super cute boy/girl/neutral prints and they just released some fabulous brand new prints. I may have to add the pudge (panda) or poppy! We are hang dryers around here, for the most part. 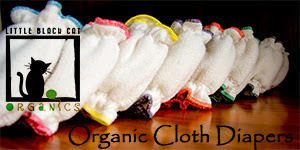 The nature of AIO and organic cotton is that is doesn't hand dry well and needs to go in the dryer. Or hang first and then into the dryer to soften up. In terms of hang drying, it actually dried much faster than I expected it to compared to other AIOs! But it also has a lot less bulk to it too. This diaper is very easy to use. Most AIOs are and this one is no exception. It is daddy/grandma/babysitter/daycare friendly, for sure! No stuffing/un-stuffing a pocket or adding extra inserts etc. The only reason I didn't give it a full 5* is because of the side snaps. I think they are easy, however people that are used to front snapping diapers do struggle to adjust to the side snaps. The side snaps are however not at all hard to use, just different and less common. Fabulous & crazy trim! These are truly as adjustable as they claim to be. They fit my small 15lb 8m old well and actually fit my 33lb 3yr old too! I was super surprised (check out the pics!) Even though GroVia makes trainers as well, this is very similar and could easily work for potty learning too. Average/Above Average. These diapers retail for $23.95 USD on the GroVia website and range between $27-29 CAD at most canadian retailers. I find the price point in general of AIOs is slightly higher than other styles of diapers, plus this diaper is certified organic cotton. 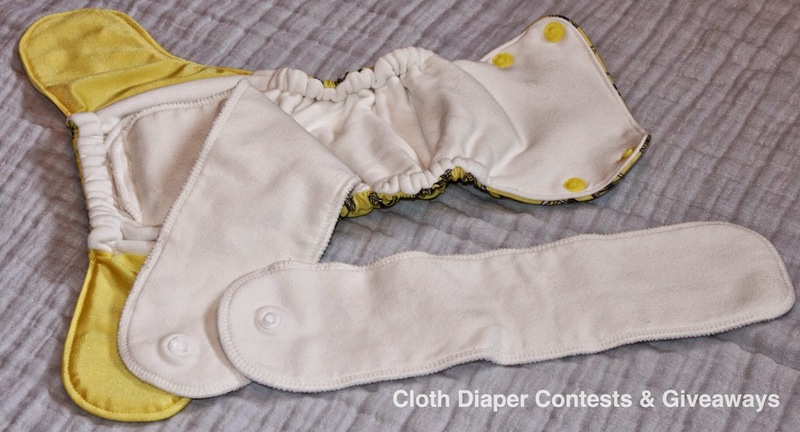 Is it worth the money if you can make it work in your cloth diaper budget? ABSOLUTELY! If you have used anything else from GroVia you know that the quality is very high. Whether it is at first glance or on further inspection, they are a well made diaper with strong snaps and solid construction. GroVia and its manufacturing facilities also adhere to strict compliance agreements that allow for Fair Labor/Fair Wages in Northern China. 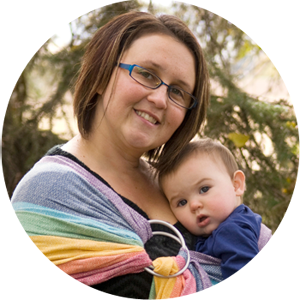 As an AIO, it is one of the first I would reach for to throw in my diaper bag. Small, quick, easy. However as a take on a road trip diaper, maybe not so much? Stains and drying could make it a bit more difficult. 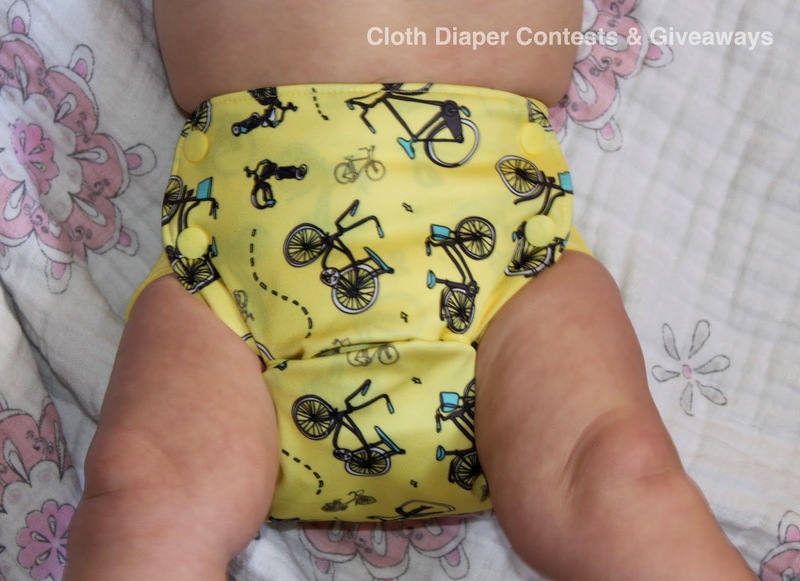 This diaper is unquestionably worth giving a try! It's one size, with no stuffing a pocket or putting on a cover (super easy to use), well made with organic materials against babe, and super trim/well fitting for all sizes (no crazy huge cloth booty). Would I change anything about it? While there are some downsides to it anything I could think of changing about negate all the things I love about it! Everyone needs a barrier cream or balm to help prevent and treat baby's bottom, especially one that doesn't cause issues with your cloth diapers! 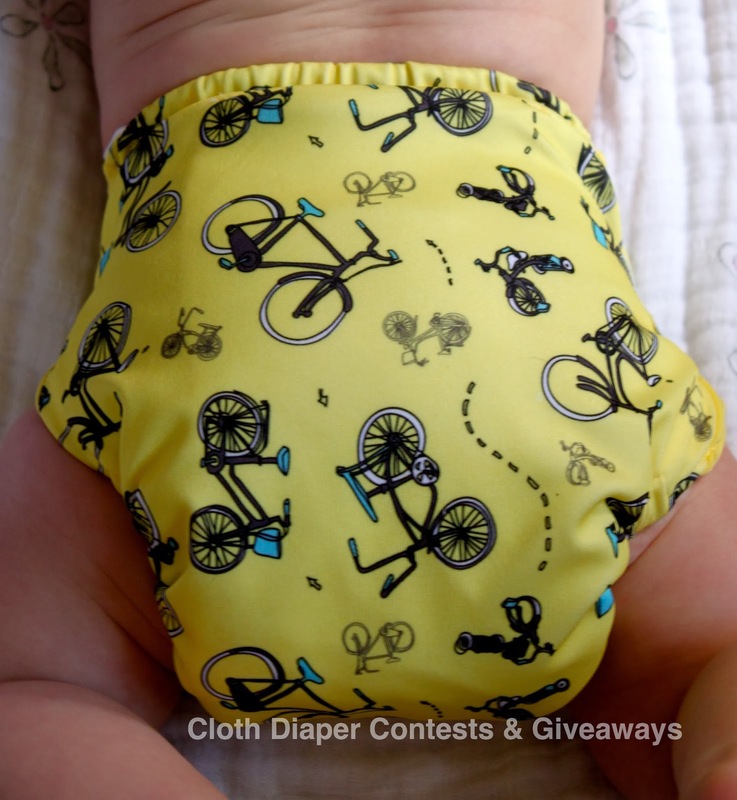 It's perfect for at home and I found it especially convenient in the diaper bag! (daycare/babysitter worthy for sure) I also found this style of applicator more toddler proof too (she finds it entertaining to stick her fingers in the tin style and 'help'). I seriously don't miss sticking my hand in other kinds of balm. 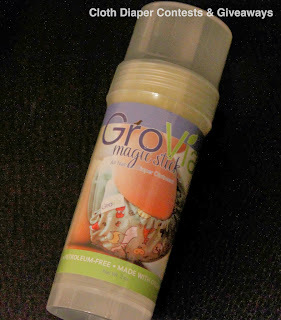 The Magic Stick (2oz tube) retails for $13.95 USD on the GroVia website and for around $17.00 CAD at Canadian retailers. Potentially a higher price point, but you get the convenience of the applicator and the guarantee of quality (and you can easily find a deal at your fave retailer I bet). It will also last longer, further justifying the cost over the time frame of use. Also check out the newly released Magic Stick Z with healing zinc on the GroVia website! Review was great! These are cute and I loved seeing them on a baby to see how they fit! Very through review. I have never seen the side snaps and would love to try them! 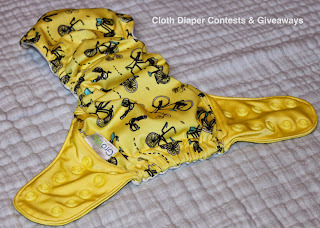 Just getting started in cloth diapering so I'd love to win. Your review was super helpful as I am trying to decide what to try. you were very thorough thank you! i love seeing inside shots of the diapers. some diaper shops dont even actually put photos on their descriptions of the inside and that is the whole functionality of the diaper! Good review, I already have some and agree with your conclusions. Oh the above comment was by me, Catherine, didn't realize Carl was signed in on my computer. Very thorough review! 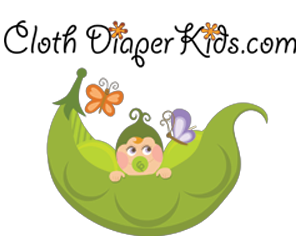 I loved that you showed two different sized babies wearing the diaper so readers could see the fit variances. Thank you! I would love to try the Magic Stick in my diaper bag. It seems like the perfect on the go option! I like all the photos and how you covered every question a mother might have. We are trying our first side-snapping diaper right now and it does take some getting used to, but isn't a big deal. Hi! Just wanted to let you know I commented through my Google account (Zephyr Hill). My name is Anne Sweden! You had a great review! I love all the pictures and details about several topics. It was very helpful and made me want to definitely try Grovias! I LOVE how you set up this review! It's biggest strength is that it's easy to get the stats of the diaper from a glance. My suggestion however, would be to standardize this for comparison of cloth diapers. 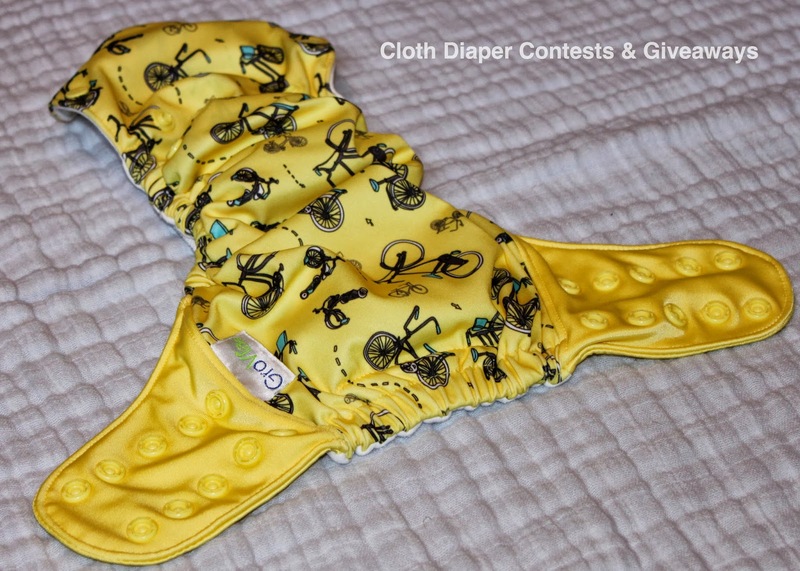 I was so excited by your review, I went to go compare this Grovia diaper with a BumGenius diaper (brand of diaper I'm considering investing in), and was disappointed that the BumGenius review was not set up in the same manner. Kind of hard to compare. Also, I would love a BumGenius Freetime review! Thanks for the info about the magic stick...never heard of it before! I enjoyed this reviews. I have been wondering about this specific diaper and found the review thorough and helpful. I like the thoroughness of the review. I like that you broke everything down and gave it stars. For me, I don't think a video would have made any difference. I prefer to read than watch - it's faster for me! I liked your review. 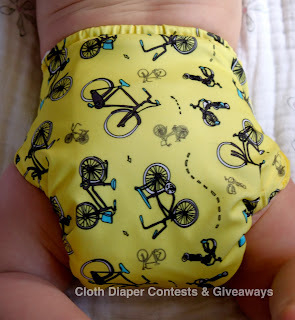 I have this diaper in the same print, and I couldn't agree more. It's a great diaper - soo trim! 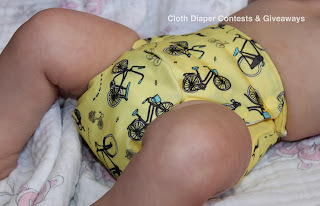 It is our go-to diaper for skinny pants for my son. great review! i especially like that you were able to show the fit on both of your kiddies. i don't think a video would have added anything. i likely wouldn't have watched it. The review was great! Sometimes videos are helpful, but honestly I usually just skim through pics of diapers unless I'm doing EXTREME reasearch on a diaper. great review. I liked the way you set up the review, its easy to read. I dont think it needs a video. Great review - I definitely prefer written reviews over videos, because I process better when I see the words on the screen rather than spoken! don't really find video necessary and i like that you provided lots of pictures and rated in different areas of concern! 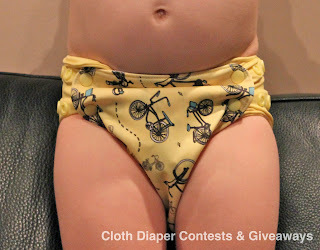 Loved your review I will be a first time cloth diaperer soon so I'm trying to learn as much as I can. I don't feel as if anything was left out. I really would like to try this diaper. I am always for a trim effective cloth diaper. I found the review very helpful, I don't think a video would have done a better job than the pictures you put up, thank you! Your review was helpful. Thank you! I prefer to read reviews rather than watch videos b/c written reviews are usually more succinct. I might add these to my list of to purchase CDs. The review was very helpful thank you! Great photos too. Helpful review. Thanks for balanced opinions, including negatives. It's always nice to hear criticism as well as good points. Review was great... I'd love to see some closer pictures of the inside of the diaper, but the one you have is pretty good! Very helpful review. I especially love seeing the diaper on different size kiddos. This was a good, thorough review, though some more details on the magic stick would be nice. I thought this was a great review. Honestly, I almost always prefer written and photo reviews over video. I don't usually watch video reviews unless it's something that really needs video (e.g., movie, moving toy). Great Review! A video would be awsome, you dont see those very often, but they show so much more than pictures! I love the review. So thorough! Puts my reviews to shame. I wouldn't really want a video, I don't tend to watch them.